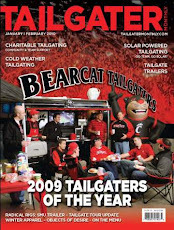 If you have been to campus in the last few weeks it is clear that the new and improved Nippert Stadium is going to take our home field advantage to the next level. Our crew didn't have $86M to spend but we did tackle a few upgrades of our own this off-season. It is hard to believe that this will be our eighth season with the Tailgater! 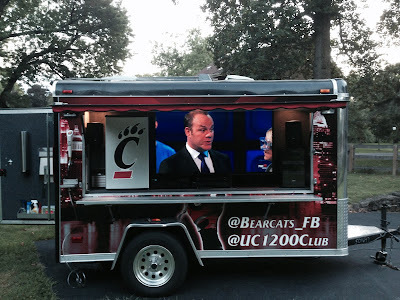 What's even more impressive is how the tailgating scene at UC has grown since we decided to up our game and invited Bearcat Nation to join us in creating a tailgating environment that we had witnessed at other schools. Miller Lite will continue to be our go-to beer of choice for game days. As always - all we ask is that you drop a few bucks in the donation box (near the beer tap) to help us cover our costs. Now that we are all back at The Grid - it is only fitting that our neighbors are Republic of Cincinnati and Lucy Gate. With all three of us together - you can't go wrong! PS: Check out Republic of Cincinnati's trailer build - excited to see the final result next Saturday! See you all next Saturday starting around 4pm.